This chapter consists of background, problem statement, objective of the research, significant of the research and scope of the research. Learning vocabulary as a foreign language seems easy but some students feel fear. The teacher of English should find out solution by crating efficient and effective technique of teaching in teaching English vocabulary, besides that, the teachers should establish condition which makes teaching vocabulary possible. The learning will occur within reasonable period of time. Vocabulary is when we speak and write; the term expressive vocabulary is used to refer to both since these are the vocabularies we use to express???????? 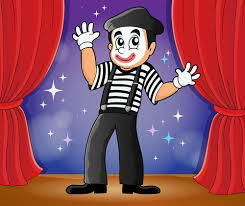 Belum ada tanggapan untuk "THE USE OF MIME (MIMING) GAME TO IMPROVE STUDENTS’ SPEAKING ABILITY"